We meet on the second Tuesday of every month at The Queen Victoria Inn, Syston, Leicestershire, commencing at 7.30pm. For our Section contact details, please see the latest copy of the club’s ‘Buzzing’ magazine. 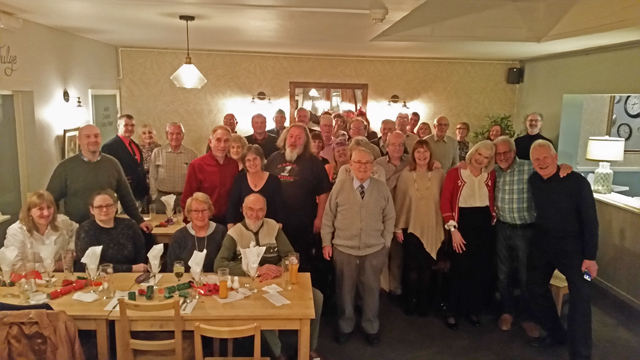 Our January ‘Christmas’ Dinner – we do things differently in the Leicestershire Enthusiasts! Thanks to everyone for making it a great section ‘Christmas’ dinner at the Queen Victoria Inn, Syston (where we also hold our monthly meetings) on the 13th January. What a bumper turnout with 52 members and partners in attendance! A superb night with good food and good company added to the evening’s success. 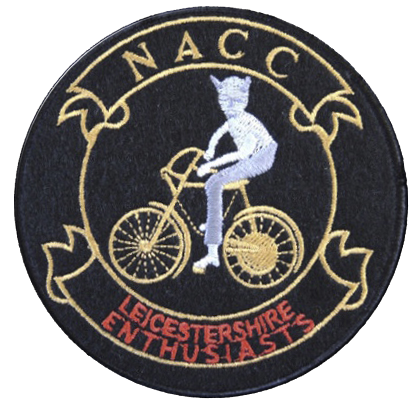 During the evening, a presentation was made by Chairman Brian Cooke to Jeff Lacombe our 2016 ‘Clubman of the Year’, as well as our section riders’ badges to those who had regularly attended section runs during 2016. All in all, a good time was had by attendees and it really has set the scene for our section’s activities for the year ahead. An excellent turnout assembled at the Great Central Railway station at Rothley on a glorious Sunday morning in October for our last run of the season. 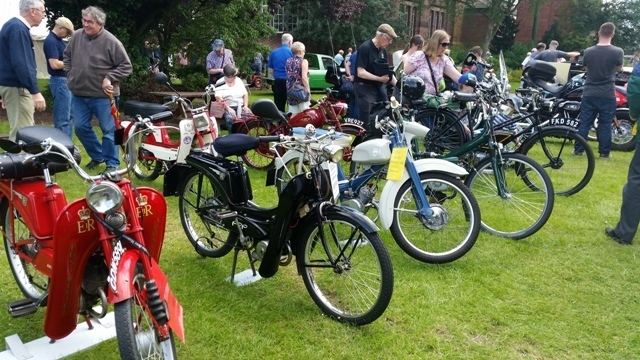 A varied assortment of Bowns, Raleighs, Hondas, Mobylettes, Tomos’ and NSU’s, leaving a haze of blue smoke! 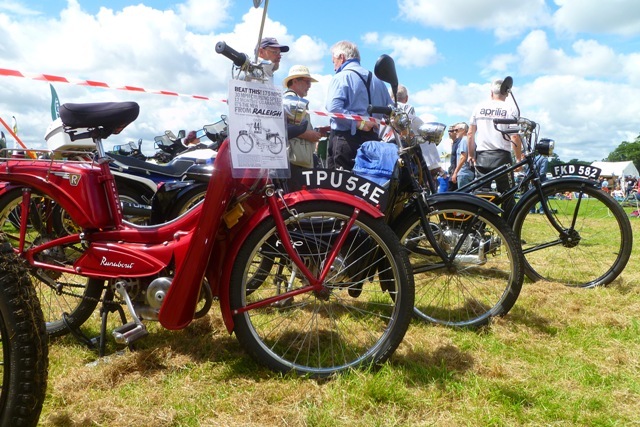 Ruddington is always a cracking event with displays of classic cars, buses, the odd tractor and of course our fine line up of varied bikes, not forgetting the steam engines. In June last year (2016) The Leicestershire Enthusiasts attended the Vintage Transport Day held at The Abbey Pumping Station Museum Leicester (above). 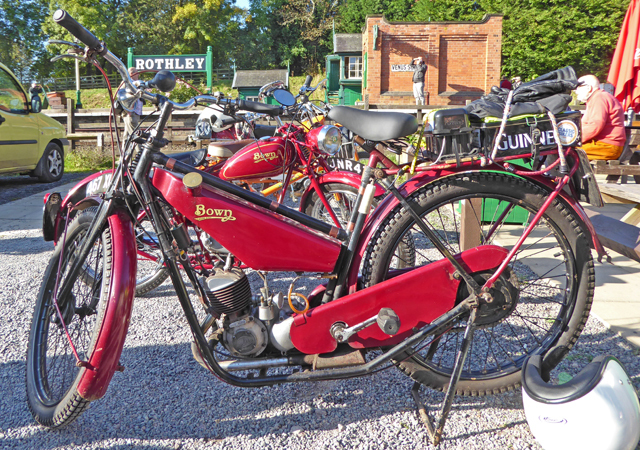 There was an excellent display of Club mopeds, autocycles and cyclemotors, which, together with some of the museum collection, attracted considerable interest. 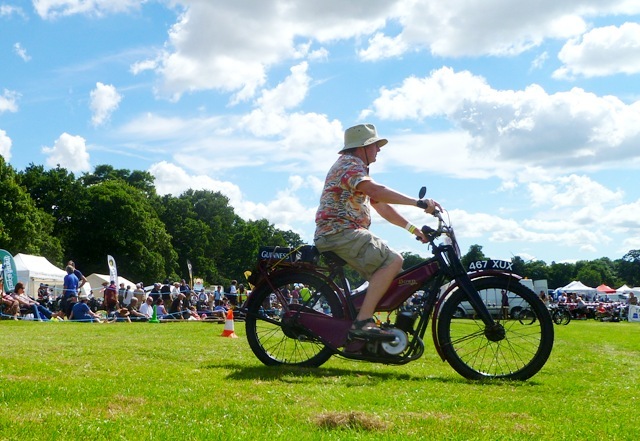 The section also attended the Vintage Motor Cycle Club’s ‘Founders Day’ event at Stanford Hall Leicestershire in July (below). 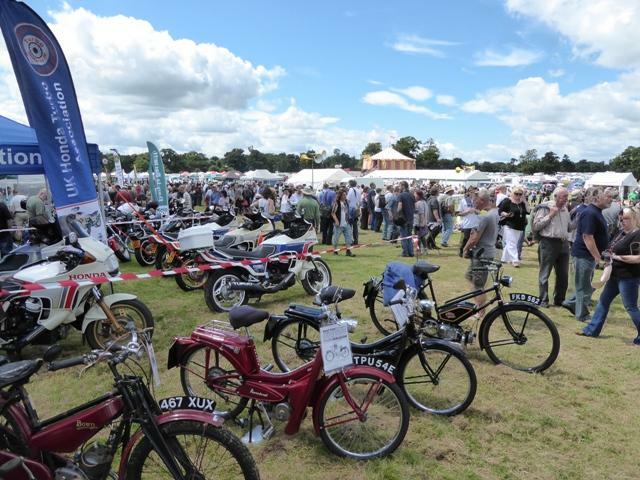 The static display and our mopeds running around the arena brought some smiles and fond memories (or not!) to the viewing public of LPA! – that’s ‘light pedal assistance’ to the uninitiated!